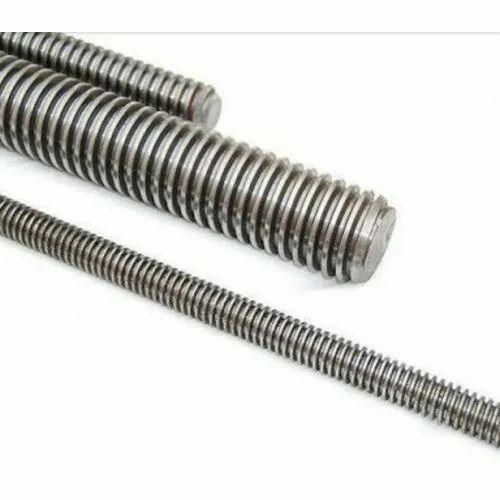 We are a company which has managed to carve a niche in the market for the manufacture the supply of a wide range of products which are inclusive of a high quality ofThreaded Rod. Powered by the rich industrial experience of more than three decades, we have earned expertise in developing an extensive range of Conduit Pipes, Pipe Fittings & Accessories. We Manufacturer, Wholesaler and Trader technically superior Black Junction Box, Saddle, Clamp, Deep Junction Box, Circular Box, Nut, Bolt, Check Nut, G I Saddle Space and many other products. Fabricated in strict compliance with the prevailing industrial standards, these products are widely appreciated for their dimensional accuracy, durable finish and strength. These are offered under the brand name of 'Steelmark' and are widely demanded in varied domestic and industrial applications including Electrical Works, Automobile Industries, Pneumatic Tools and other applications. We are a perfect fusion of latest technology and well-trained manpower to engineer bulk products with precision in a short turn around time. Our entire range is based on extensive research and is developed by following rigid quality management system conforming to standards specified by Bureau of Indian Standards. To meet their specific requirements, we offer customization facility on our range of product.